Fire Consulting | Safety Consultants | ILC Consulting Services | Investigative & Loss Control Services, Inc. Investigative & Loss Control Services, Inc.
ILC specializes in providing the most up-to-date management principles and progressive technology while applying their expertise to several areas of consulting services. In addition to professional fire investigations, ILC offers professional consulting services for a variety of management areas and topics. These services go beyond just fire investigation related matters and can encompass site inspection services, industrial hazard safety consulting and internal management consulting. We also offer on-site training seminars that can be presented at your offices or as a part of a larger conference setting. contact us for further details or to discuss tailoring a specific topic or program for your in-house training needs. Provide educational seminars to front-line employees to identify and correct potential work place hazards. 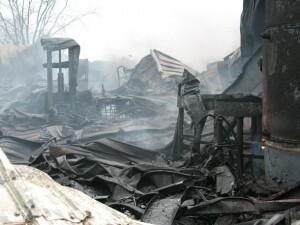 ILC Investigators have investigated major fire losses both nationally and internationally. Let our experience help you.